The red and white oak in these pictures are from a pre civil war barn located in Shenandoah County Va., Shenandoah Valley. It features both hand hewn and water milled beams and lumber. The superstructure was put together with mortise and tenon and were mostly white oak. The log floor system are mixed white and red oak logs spanning 36 feet, ranging anywhere from 10 to 16 inches and were over eight inches thick. The beauty part about these logs is that they would be enough to build a log structure to live in or as a get away living quarters or an addition to your existing home. 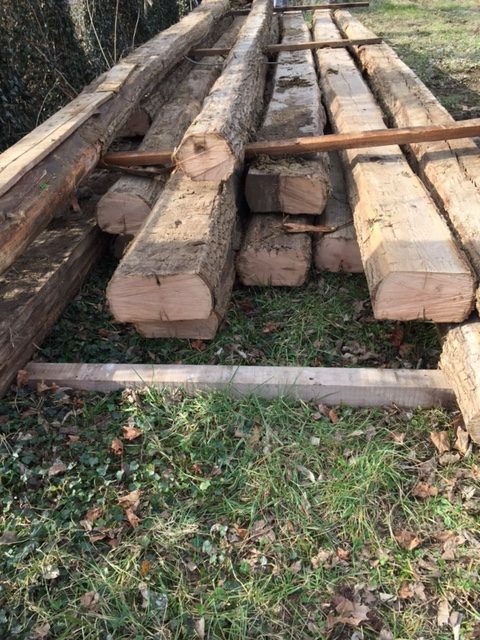 Most of the actual timber framing will be processed into beautiful flooring for many projects and will be available upon request with lead time to kiln dry and process. Sample pictures will be posted shortly. 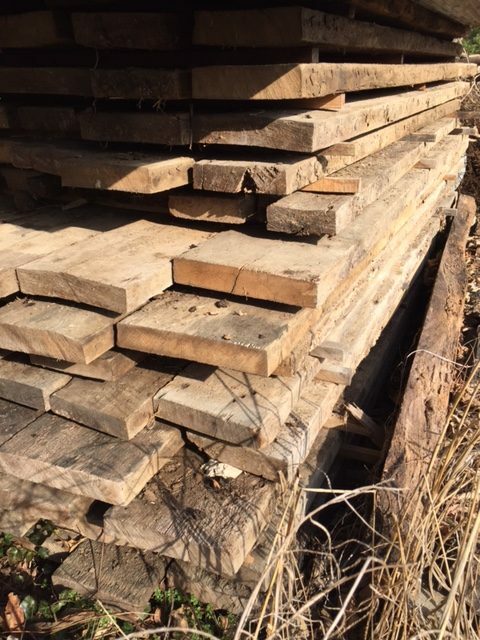 This reclaimed oak is most desirable due to its historical content which will make it authentic for any use whether it be flooring ,logs ,post and beam accents or even tongue and groove panel boards. Every part of this reclaimed oak features an historical age and patina grown at the time of the founding of our country.